It took about a week, but heads did roll at PricewaterhouseCoopers after the great Best Picture fuckup of 2017. 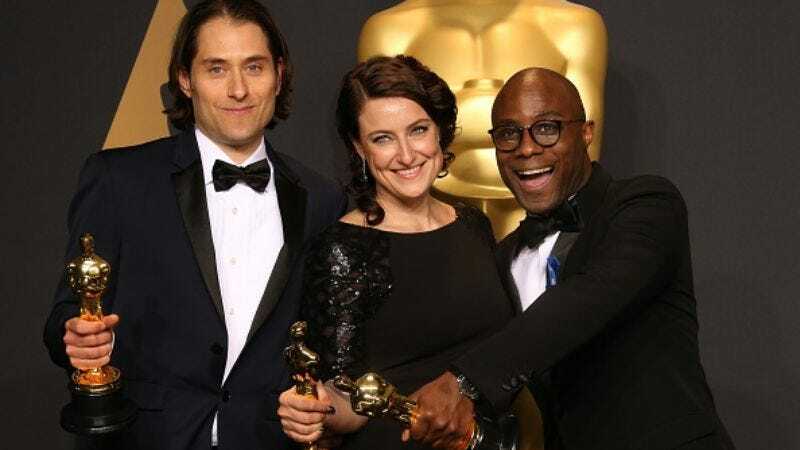 Balloting leaders Brian Cullinan and Martha Ruiz were relieved of their ceremonial duties after they let that whole “naming the wrong winner“ fiasco happen; their blunder and oversight, respectively, led to La La Land’s cast and crew inadvertently walking all over Moonlight’s victory. Cullinan was the main culprit—despite having served in that ballot-handing post for over a decade, he was more interested in snapping covert selfies with the glitterati to do his job properly on Hollywood’s big night. Ruiz was held responsible because she failed to act quickly enough to resolve the problem. According to The Hollywood Reporter, the Academy of Motion Picture Arts and Sciences is mostly satisfied with its pound of flesh, and will retain PricewaterhouseCoopers’ services. However, the Academy has asked for and ultimately approved of new safety measures. First, PwC chairman Tim Ryan will have greater oversight over the balloting and handling proceedings. The groups have also brought back PwC partner and awards season stalwart Rick Rosas, who managed to hand over the winning envelopes without incident for 12 years. There will also be a third balloting leader with knowledge of the results positioned in the control room to head off any such snafus in the future. Additionally, PwC accountants will participate in dress rehearsals, and will have to turn in their electronic devices before even approaching the stage. Finally, the Academy will regularly review PwC’s procedures in order prevent such a fuckup from ever occurring again.